The law signed Thursday by Gov. Jerry Brown makes California the first state to bar full-service restaurants from automatically giving out single-use plastic straws. It takes effect next year. The law doesn't ban plastic straws outright like some cities have. Restaurants that don't comply will get two warnings before being fined up to $300 per year. It will apply only to full-service restaurants, not fast food establishments. Democratic lawmakers who support the law call it a small step toward reducing ocean pollution. Environmentalists called it a great step in the right direction. But critics argue California's new law is government overreach that won't significantly improve the environment. 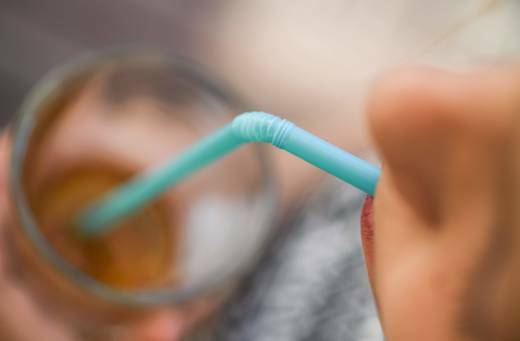 Some say restricting straws hurts disabled people who rely on them. In August, Republican Assemblywoman Melissa Melendez of Lake Elsinore said she doesn’t believe the move will reduce pollution but will punish restaurants. The California Coastal Commission has recorded roughly 835,000 straws and stirrers picked up between 1988 and 2014 during beach cleanups. KQED's Amel Ahmed contributed to this report.